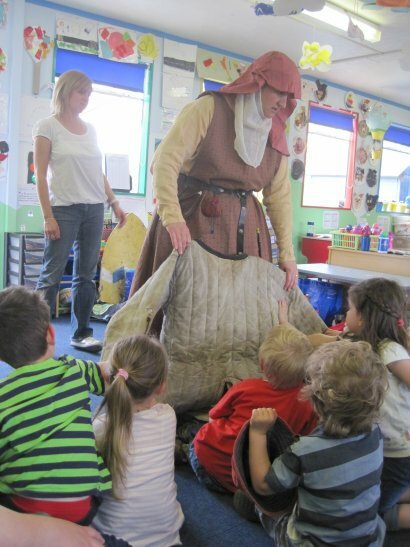 If you are working with Pre-school or reception children, Gripping History can support you with a visit to strengthen any topic on Fairy Stories, Knights, Castles, Kings and Queens etc. You may be doing a topic on ‘Where We Live’ and wish to explore events in you location’s past or its early origins. We will discuss suitable activities with you to devise a suitable visit programme for your needs. 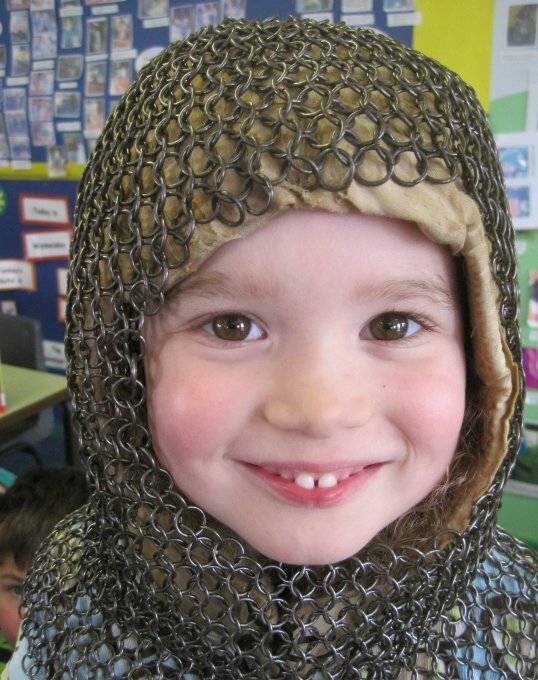 We offer a full day for YR and KS1 children on Knights and Castles. Approaches which often work with this age group include offering some simple comparisons with what people wear or use today and what people who lived in the past might have worn or used. The children might also be asked to engage with familiar modern items and link them with their historical alternatives. You may also wish to explore/act out a fairy-tale or role play scenario with the use of historical items, some dressing-up and, of course, the participation of the children. The above outlines are illustrations of activities which have worked well with this age group in the past. If you have other requirements or needs, we will be happy to discuss them with you.